I don’t know about you, but I am beyond excited for the holidays this year. I love decorating the house, the chilly weather and the cozy and snuggly times shared with my family. 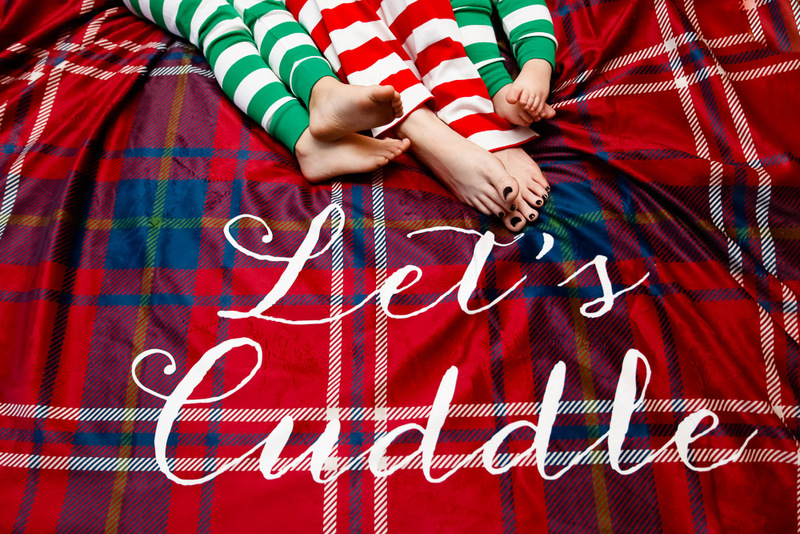 One of our favorite holiday traditions is cuddling up with the girls, and watching our favorite holiday movies. 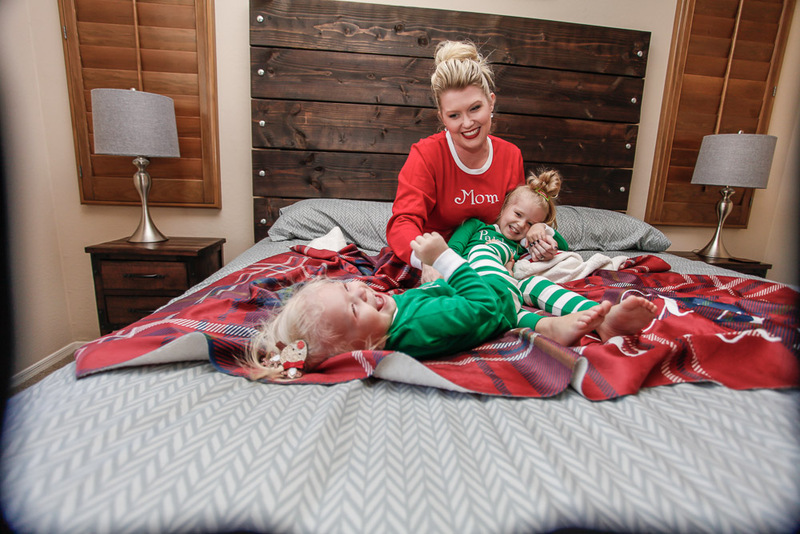 We love to put on our favorite pajamas, snack on goodies and get into the holiday spirit. It is a tradition that my girls have come to love and look forward to, and I wouldn’t trade it for the world. 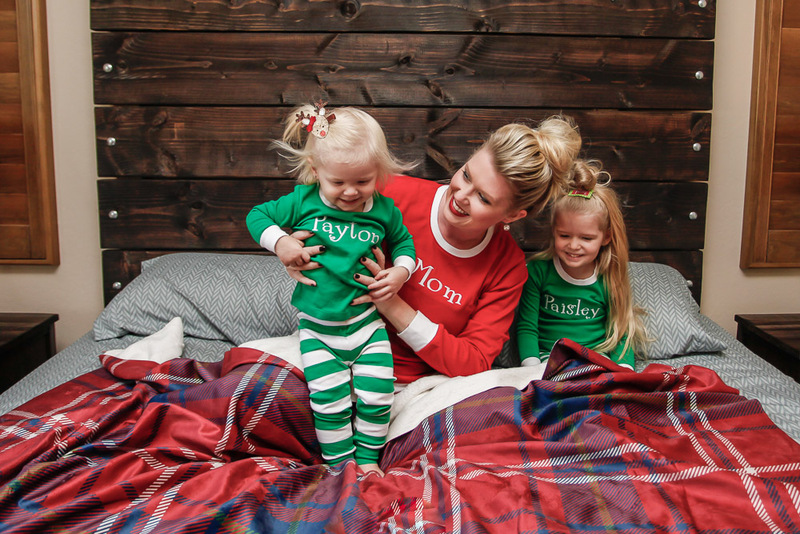 This year I decided I was going to go all out and surprise the girls with matching pajamas, and I found the perfect shop to get them at. If you haven’t heard of Gentry California, you are in for a treat. When I came across this mom-owned adorable shop, I fell in love! Gentry California specialized in monogrammed and personalized apparel for babies, children and women and everything is beyond fabulous! 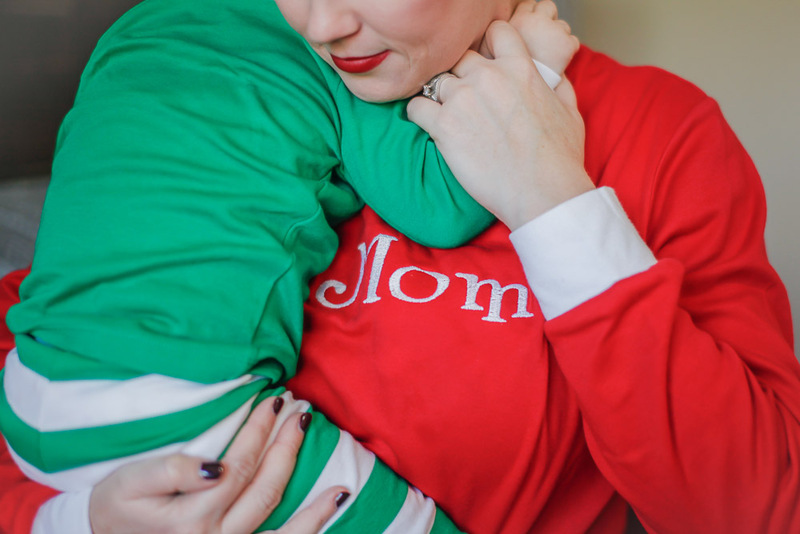 While I was admiring the cuteness on the Gentry California online shop, I came across the most darling green and white striped Christmas Pajamas! My girls are 2.5 years apart, but they are the best of buddies, so of course they LOVE to match. 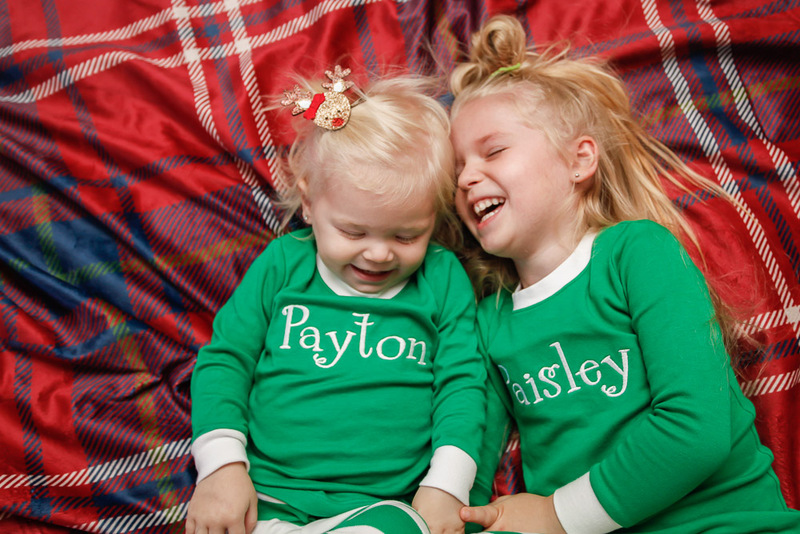 One of their favorite Christmas movies is Elf (of course! ), so these pajamas are perfect. My favorite part is that you can personalize them. Gentry California offers multiple fonts, thread colors and monogram styles so you can literally write anything! 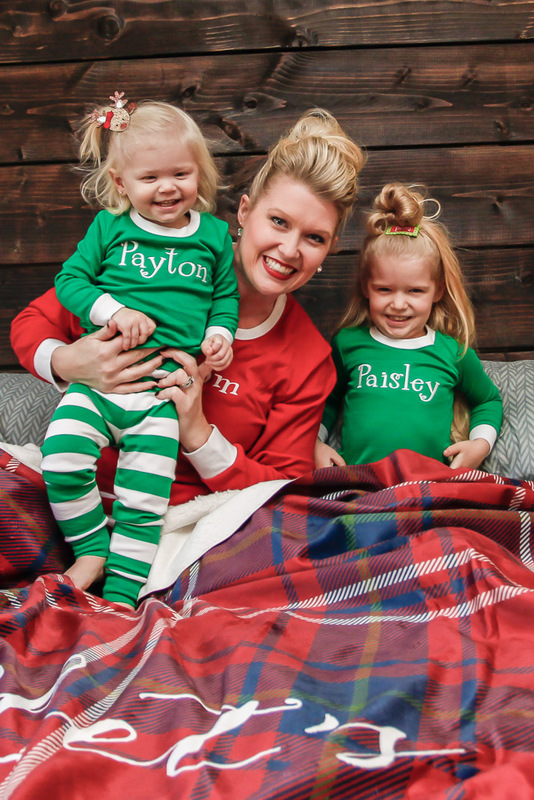 I decided to have their names printed on each set of pajamas and they turned out perfect! One more thing… I noticed that Gentry California also offered an adult version in red and white stripes, so of course I jumped in on the fun and ordered myself a pair with the word MOM embroidered on the chest. Life is short, have fun and enjoy it with a childlike spirit… right??!! Turns out they are beyond comfortable and I am in LOVE with my pajamas too! You will find me living in them this holiday season! Gentry California has a fabulous 2016 Holiday Collection! Visit their WEBSITE or INSTAGRAM and shop early so that you can enjoy their holiday apparel all December long! 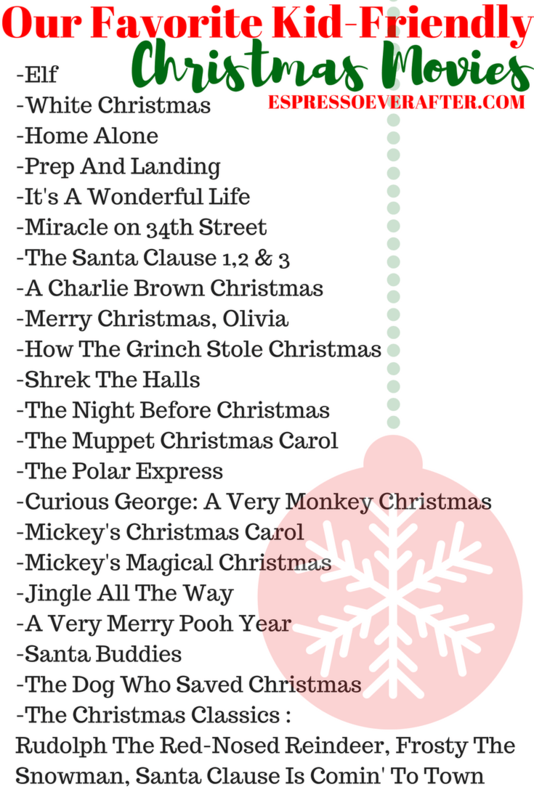 What Christmas movies do you look forward to watching every year with your kids? Please share, we are always looking for a new favorite! 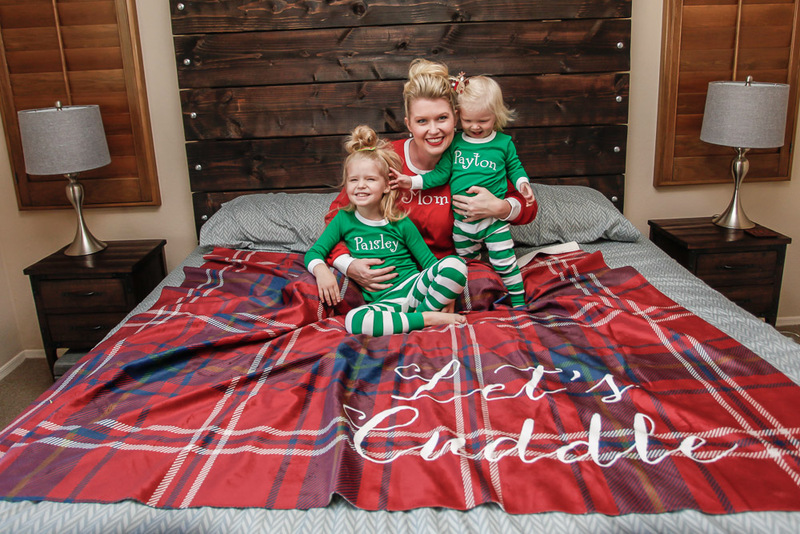 So what are you waiting for… Put on your cozy holiday pajamas and snuggle up for a good flick, and make some cherished holiday memories with your kids! Wishing you a comfy and cozy Christmas season ahead! I received some of these items in exchange for an honest review. All thoughts and opinions are 100% my own. Thank you Ashley! We all LOVE our new Gentry California PJs! They are so soft and fit perfectly! I created the blanket on Shutterfly! Thank you!